Enforcement of foreign arbitral awards in China has always been a widespread concern. Although China became a member of the New York Convention in the 1980s, it now remains dubious whether foreign arbitral awards will be fairly enforced in the country. In 2015, the Supreme People’s Court of China (SPC) issued a judicial interpretation on the newly amended Civil Procedure Law, explicitly addressing several confusing and controversial matters on foreign arbitration. Two years later in 2017, the SPC adopted several new rules concerning judicial review of arbitration awards. Both the Interpretation and the Rules are intended to streamline the foreign arbitral award enforcement in the country under the New York Convention or international common norms. In “Enforceability: Foreign Arbitral Awards in Chinese Courts”, forthcoming in the San Diego International Law Journal in 2019, I examine and analyze the SPC’s new efforts to handle foreign arbitral awards seeking enforcement in China. I also discuss representative cases demonstrating the practices of the Chinese judiciary in their review of foreign arbitral awards for enforcement. To seek enforcement of a foreign arbitral award in China, the petition must be filed with the intermediate people’s court of the place where the award debtor is domiciled or the place in which the award debtor’s property is located. Upon receipt of the filing, the people’s court is required to handle the enforcement matter under the treaties concluded or acceded to by China or, absent relevant treaties, based on the principle of reciprocity. For purposes of the enforcement of foreign arbitral awards, the New York Convention can be directly applied in a Chinese court. If there is a discrepancy between a treaty provision and a provision in domestic law, the treaty prevails. An important component of the enforcement process is the internal reporting system established by the SPC in 1995. The Chinese judiciary consists of four tiers: basic people’s courts, intermediate people’s courts, high people’s courts and the SPC. Internal reporting is a mechanism under which a denial of enforcement of a foreign arbitral award made by an intermediate people’s court is mandated to be submitted to the high people’s court as well as to the SPC for approval. The 2017 Rules strengthen the internal reporting and also expand its application to include a decree to invalidate an arbitration agreement. Thus, under the 2017 Rules the SPC has the final say in both the denial of enforcement of a foreign arbitral award and the avoidance of an agreement for foreign arbitration. To qualify as a foreign arbitral award, the arbitration must contain foreign elements, and the award must be entered by a foreign arbitration institute (not necessarily “made in the territory of another contracting state” as defined in the New York Convention). In addition, the arbitration agreement, in order to be valid, must be in writing and the written agreement shall contain (a) the parties’ intent to arbitrate, (b) the matters subject to arbitration, and (c) designated arbitration body. The competence of the arbitration body may be decided by the arbitration commission (not an arbitral tribunal as in many other countries) or the people’s court at the parties’ choice. The issue of arbitrability is subject to Chinese law and the enforcement of foreign arbitral award should not violate Chinese public policy and must comply with the enforcement procedure prescribed by Chinese law. 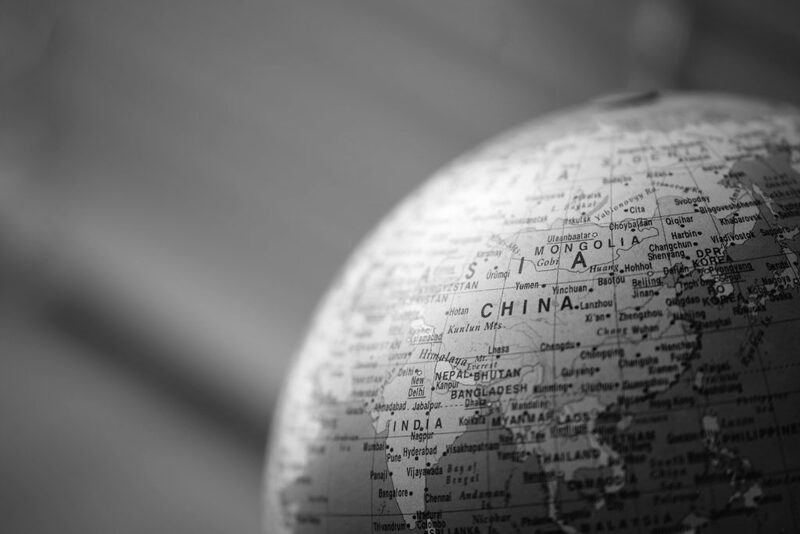 The skepticism about enforcement of foreign arbitral awards in China is caused not only by the shortfalls of the Chinese legal and judicial system, but also by a disconnect between foreign perception and Chinese reality. Unresolved issues include: transparency in procedure and access to the needed information, legal compatibility with the provisions of the New York Convention, and adequate legislation for the enforcement of foreign arbitral awards given the limited role of the Chinese judiciary in the legal system. On the other hand, however, if enforcement within the territory of China is the only option, a choice of arbitration in China might be more practically desirable in contrast to an arbitration outside China. Mo Zhang is a James E. Beasley Professor of Law at Temple Law School and a Specially Invited Professor of Law at Tsinghua University Law School, Temple’s partner school in China. Professor Zhang teaches Conflict of Laws, Contract Law, International Commercial Transactions, and Chinese Law. Posted in Faculty Scholarship and tagged China, Chinese Law, civil procedure, Enforceability, Enforcement, Foreign Arbitral Awards, Foreign Arbitration, Foreign Arbitration Institute, International Law, Interpretation, Judicial Review, Jurisdiction, New York Convention, Reciprocity, Reporting Systems, San Diego International Law Journal, SPC, Supreme People's Court, Treaties. Bookmark the permalink.